Get Your Ears On – A Mickey and Minnie Celebration is in full swing at the Disneyland Resort! 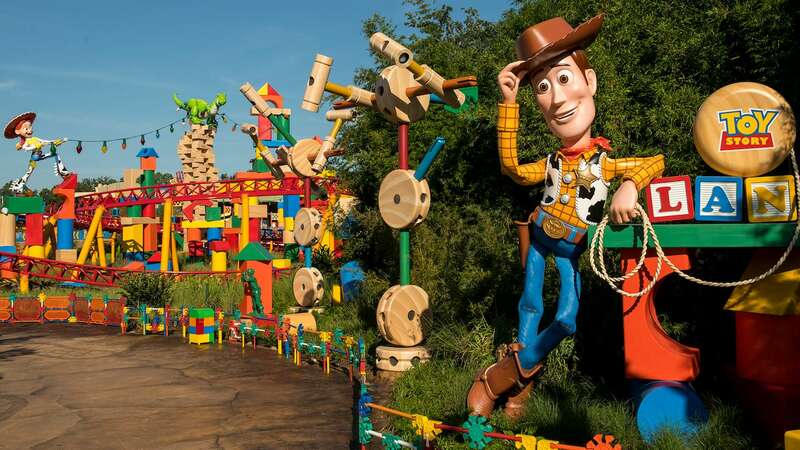 Familias big and small are invited to “Get Your Ears On” and celebrate 90 years of magic. Highlights include the return of “Mickey’s Soundsational Parade” and a new nighttime projection show, “Mickey’s Mix Magic.” This new, high-energy spectacular creates a family-friendly dance party atmosphere throughout Disneyland park. 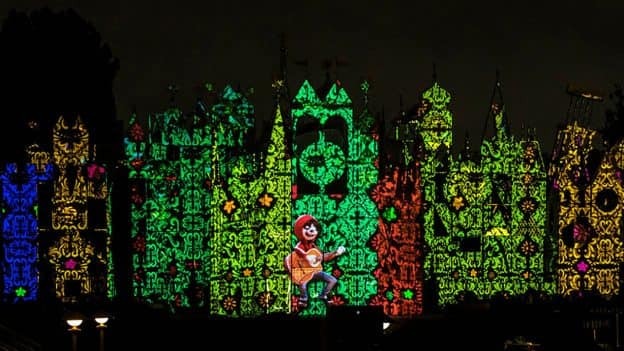 Pulsating music and favorite Disney stories are featured throughout the espectáculo, including a colorful “Un Poco Loco” sequence from the Disney•Pixar film “Coco” (the photo above shows the scene illuminated on “it’s a small world”). La fiesta extends to limited-time décor, merchandise and of course, comida! 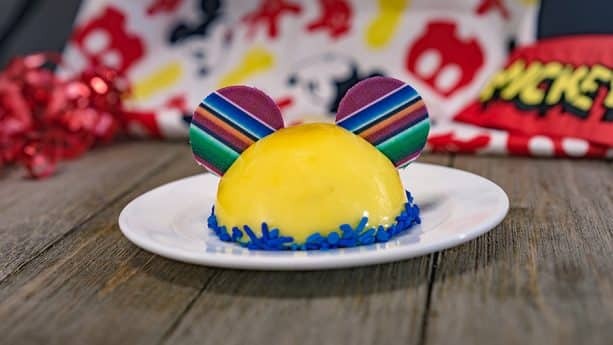 At Rancho del Zocalo Restaurante in Disneyland park, enjoy Mexican dishes with a Mickey twist! The Sopes Trio includes chicken, beef, and pork served on fried corn dough with refried beans, shredded lettuce, spicy lime aïoli, and salsa roja. For dessert, the Frozen Strawberry Horchata is flavored with strawberry and topped with whipped cream, a dehydrated strawberry, and a sprinkle of cinnamon. Make sure everyone in your familia has their mouse ears, and ready to join us for the biggest celebration of Mickey Mouse and Minnie Mouse in Disneyland history! For those looking to plan their next vacación to the Happiest Place on Earth, the Disneyland website’s multilingual capabilities have been enhanced! Check out disneyland.com en español. Omg!!! We need this menu on Mexico Pavilion on Epcot.